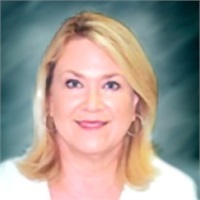 Rose has over 35 years experience in the financial services and insurance industries, and is in charge of the firm's client services area located in the Austin, TX operations office. She assists Patrick McLean with certain aspects of the placement process for clients, and is primarily responsible for overseeing post-sale contract installation and follow-up services. She also handles all individual/maturity funding placements for the firm. Rose started her professional career with Touche Ross, CPAs (Deloitte Touche), then joined a large local Austin, TX CPA firm, which later merged with KPG Main Hurdman (now KPMG). She then left to become a part of a new development/private placement real estate company that built and managed Austin commercial real estate. From 1990 to the present, she has been a Manager and Director with Terminal Funding Co., which joined with BCG in 2003 to form BCG Terminal Funding Co., the predecessor company to BCG Pension Risk Consultants. Through the years, Rose has been actively involved with many Central Texas non-profit entities, including SafePlace/Center for Battered Women; St. David's Hospital; The Ronald McDonald House; the Volunteer Health Clinic of Austin; Austin Dress for Success; and the Austin Women's Political Caucus. Rose attended Stephen F. Austin State University in Nacogdoches, TX. She currently holds a Texas life and annuity insurance license and is not affiliated as an agent with any insurance company.